There are many ways you can help us in our fight against ALS. As we pursue treatments and a cure for this disease, your donations and support enable us to directly improve the lives of people in western Pennsylvania living with ALS. The contributions and impact of our volunteers is invaluable. From helping with event setup and logistics to mailings from the office, volunteers play an essential role to drive our mission forward. Your gift will provide hope and much-needed services to hundreds of ALS patients and their families here in western PA. Every tax-deductible donation helps fund life-changing research and propels us toward our goal of a world without ALS. Thank you for your generosity and support. Gifts from our corporate supporters have been invaluable in the fight against ALS, directly impacting our local communities and those affected by ALS. 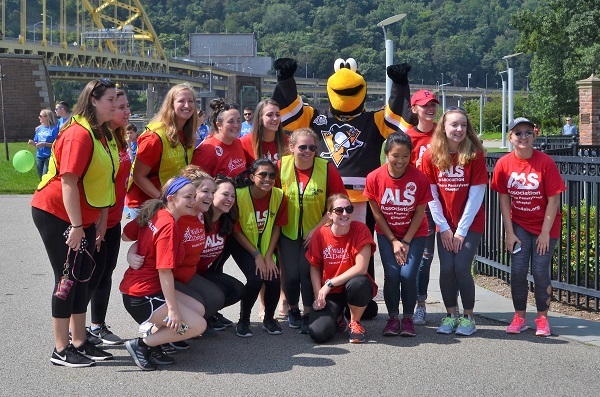 We’ll work with your organization to identify the best way to get involved and help those living with ALS in Western Pennsylvania. Learn how you can increase corporate visibility, reach potential consumers, boost employee engagement, and deepen community connections—all while supporting a great cause.